Broadway Week, September 4 – 16, with 99% of plays and musicals offered in a 2-4-1 bonanza, is always eagerly anticipated. The Fall discounts include nearly 20 shows, including some hard-to-get-tickets-to blockbusters. In addition, 25 Theatre District restaurants are offering a free dessert when a ticket stub from participating shows is presented. Productions participating in Fall’s Broadway Week are Bring It On, Chaplin, Chicago, An Enemy of the People, Evita, 2012 Tony-winning Best Revival [in its last weeks on Broadway] Porgy and Bess, Tony-winning Jersey Boys, Tony-winning The Lion King, Mamma Mia!, Mary Poppins, Newsies, Nice Work If You Can Get It, 2012 Tony winning Best Musical Once, Peter and the Starcatcher, Tony-winning long-run champion The Phantom of the Opera, Rock of Ages, Spider-Man: Turn Off the Dark, Tony-winning War Horse, and Tony-winning Wicked. All are subject to availability and blackout dates may apply. Use the code BWAYWEEK at theatre box offices to save a bundle in service charges. Participating restaurants are B. Smith’s, Ca Va Brasserie, FireBird, the Russian Tea Room, Shun Lee West, and Sky Room Times Square. To book tickets for a Broadway Week show and for the complete list of participating restaurants, visit nycgo.com/broadwayweek. Amtrak Guest Rewards members earn 100 points or more for tickets purchased to participating shows by registering their account with Audience Rewards before purchase. 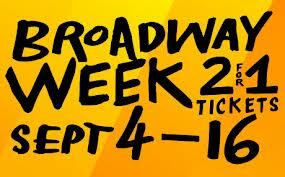 Broadway Week is produced by NYC & Company, the Broadway League, AARP, Amtrak, NBC-4, and The New York Times. For more information, to make online purchases, and a full list of restaurants, visit nycgo.com/broadwayweek. World dance impresario, Hungarian-born Paul Szilard is 100 (August 24). Many of the world’s ballet companies owe their current renaissance or, in fact, wouldn’t exist today without his amazing largesse. In June, at Paris’ Theatre du Chatelet, on the opening night of the Alvin Ailey American Dance Theater season, he was was decorated by the French Ministry of Culture for his years of bringing great dance to France and for his contributions to French culture. 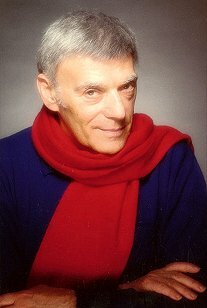 Mr. Szilard has presented not only Alvin Ailey, but also New York City Ballet, American Ballet Theater, Martha Graham Dance Company, Madrid’s Ballet Víctor Ullate, and, among others, Universal Ballet and such artists as Mikhail Baryshnikov and Judith Jamison here and throughout the world. The first English-language Broadway show presented in Japan, West Side Story, was presented by Mr. Szilard. As a leading dancer, Mr. Szilard performed throughout the world. Under My Wings: My Life as an Impresario, his autobiography, was published in 2002. Theatre East presents a new adaptation of Kipling’s classic The Jungle Book by Megan O’Brien, Off Broadway beginning September 1 for a limited engagement at the Peter Jay Sharp Theatre [416 West 42nd Street, between Ninth and Ten Avenues]. Dina Epshteyn directs. This tale of a lost boy being adopted by the animals of the jungle is told through the eyes of young Alex, who through the pages of the story uses his imagination to bring the book to life. Through shadow puppetry, and new staging this is a show the entire family will enjoy. For more information, visit www.junglebooktheplay.org. Tickets are $25; $20, for groups of 10 or more. They’re on sale at the box office and through Ticket Central, (212) 279-4200 or www.ticketcentral.com, where you can find the performance schedule. Millions will throng Sixth Avenue, in the vicinity of Little Brazil, West 46th Street, between Sixth and Fifth Avenues for the 28th annual Brazil Day festivities. They lead off with a parade and music festival on Sixth Avenue on Saturday, September 1. Then, the next day, 25 streets of the surrounding area become New York’s largest street fair. The stage at 42nd Street and Sixth will showcase some of Brazil’s hottest musicians and entertainers will be in a Samba-madness mode, along with visiting soccer stars. Since Brazil will host the 2016 Olympic Summer Games, you can expect even more enthusiasm this year. 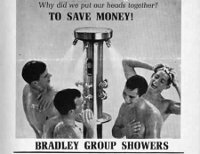 For more information, visit www.brazilianday.com. Sponsors include Brazil’s TV Globo and the newspaper The Brasilians and BACC Travel, owned by Honorary Little Brazil Mayor João de Matos. For authentic Brazilian delicacies and famed all-you-can-eat meats from dozens of skewers, visit the classic steakhouses Churrascaria Plataforma on West 49th Street, between Eighth and Ninth Avenues, and the Churrascaria Plataforma in Tribecca; and Brazil Grill, Eighth Avenue and 48th Street.